Samantha Power, U.S. Ambassador-designate to the UN, once dared to suggest deploying a peace-keeping force to Israel to protect the lives on both sides, an idea that infuriated the Israel Lobby and taught Power a lesson in how she must temper her views on human rights, as ex-CIA analyst Paul R. Pillar notes. David Rieff’s commentary on Samantha Power’s confirmation hearing is a trenchant account of some of the worst in what we see in the process of confirming nominees for senior positions. Even by the standards of such hearings, Power’s performance was notably obsequious. This was an abuse of the process by the nominee, in the sense that in a proceeding ostensibly intended to learn more about the nominee we did not learn much at all except that she really, really wants the job of ambassador to the United Nations and is willing to shape her testimony in whatever way it takes to get the job. 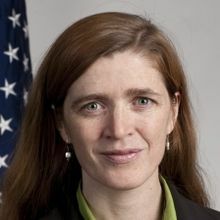 Samantha Power, nominee to be U.S. Ambassador to the United Nations. Rieff cites the experience of Robert Bork as the master lesson for all subsequent nominees on the need to trim their views if they expect to get confirmed. That history is no doubt a factor, but to understand the pathologies of the confirmation process we should take note of the variety of ways in which that process gets abused. Many of those ways are not the work of nominees, but in at least one respect, as Power’s case illustrates, they induce from nominees’ behavior that only adds to the dysfunction. A conspicuous and recent abuse was the attempt to cripple the work of the National Labor Relations Board and the Consumer Financial Protection Bureau by refusing to bring any nominees for those bodies to a vote in the Senate. Threats from the Senate majority leader about exercising a so-called nuclear option won a temporary reprieve from that tactic, although there is no assurance we won’t see it revived, and the chances are it will be. Even when the objective is not to cripple an agency or effectively vacate the law that created it, it has become commonplace for the confirmation process to be the vehicle for pursuing policy agendas that have nothing to do with the nominee. This is at best an irrelevance and a drag on the process. It becomes abuse when confirmation votes may be determined by it. The same Sen. Graham started crossing this line last week when he used questioning of Admiral James Winnefeld, nominated for another term as vice chairman of the Joint Chiefs of Staff, to push the idea that the Iranian regime is still an awful and extreme beast despite the election to the Iranian presidency of Hassan Rouhani. 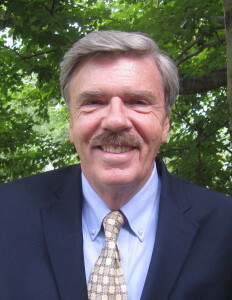 At one point Graham said “this will determine how I vote for you” before asking whether Winnefeld thought Rouhani is a “moderate.” Even setting aside the issue of the substantive validity of what Graham was harping on, why should a military officer’s view on this question determine his fitness to serve as vice chairman of the Joint Chiefs? Nominees, especially those already serving in the Executive Branch, have somehow to make their responsiveness to questions not run afoul of policies that have already been set by the president, and not to make it seem that they are getting ahead of the president, forcing his hand, or openly criticizing him. And yet senators repeatedly and knowingly put nominees in that difficult position. We should hope that the nation’s senior military officer is giving his best advice in private to the president on military aspects of an important problem such as Syria, and we should expect that officer not to offer discordant characterizations of the president’s policy in public. We should also hope that senior members of the Senate Armed Services Committee see the job of chairman of the Joint Chiefs in similar terms, regardless of their views about Syria or any other substantive issue. 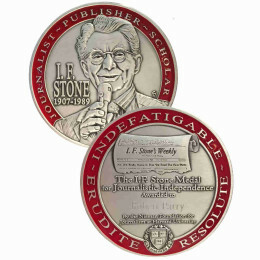 The now well-known background to this is an interview more than a decade ago, in which Power suggested that to quell Israeli-Palestinian violence at that time the United States should consider deploying a large protective force even though this might mean “alienating a domestic constituency of tremendous political and financial import.” The constituency in question, as is its custom, denounced Power as anti-Israeli. Experience has shown that the Jews can not rely on anyone when their security is at risk and certainly not the UN. For example,In June, 1967, when Egypt asked the buffer force to leave, it promptly left, without even asking the UN for permission to do so. The UNIFIL force in Southern Lebanon has not carried out the obligations that it was charged with, i.e. it permitted the Hezbollah to rearm. After 1939 and during WWII, England illegally blocked Jews from traveling to Palestine because of the White Paper policy of 1939 that the League of Nations Permanent Mandates Commission had held was contrary to previous interpretations of the Balfour Policy, and not within their authority which was based wholly on the League of Nations Mandate for Palestine. This contributed to the deaths of millions of Jews. Even after WWII, an obsessed Bevan continued to enforce this illegal blockade, preventing holocaust survivors from reaching their friends in Palestine until 1948. During the holocaust, no nation throughout the world would permit refugee Jews to immigrate. After all this experience, Israel would be crazy to rely on others for Jewish security. The “Balfour Declaration” of 1917 expressed support for the establishment in Palestine of a homeland for the Jews. It carried no legal authority of any kind. Large scale immigration to Palestine occurred during the 1930’s leading to violence and terrorism committed by both sides, Arab and Jewish. Great Britain, unable to achieve peace, turned the Palestine problem over to the U.N. The U.N. proposed terminating the mandate and dividing Palestine into one Arab and one Jewish state, with Jerusalem internationalized (Resolution 181 II) of 1947. Before any U.N. action was taken, Israel declared independence and waged a war in which it took 77% of the territory in the mandate of Palestine. Over half of the Arab population was expelled. In 1967, Israel waged war again, taking possession of the territory assigned by Resolution 181 to the Arab state. The U.N. resolved (U.N. Resolution 242) that Israel, in order to achieve a just and lasting peace, should withdraw from the territories occupied in 1967. ZioManchurian candidates are made by a fungal infection of the host. In this case, the USA is in an advanced stage of infection by Ziophiocordyceps unilateralis. The “ontogeny” of our murderous, illegal and immoral wars in the mid-east “recapitulates” the “phylogeny” of Israel strategic plans. 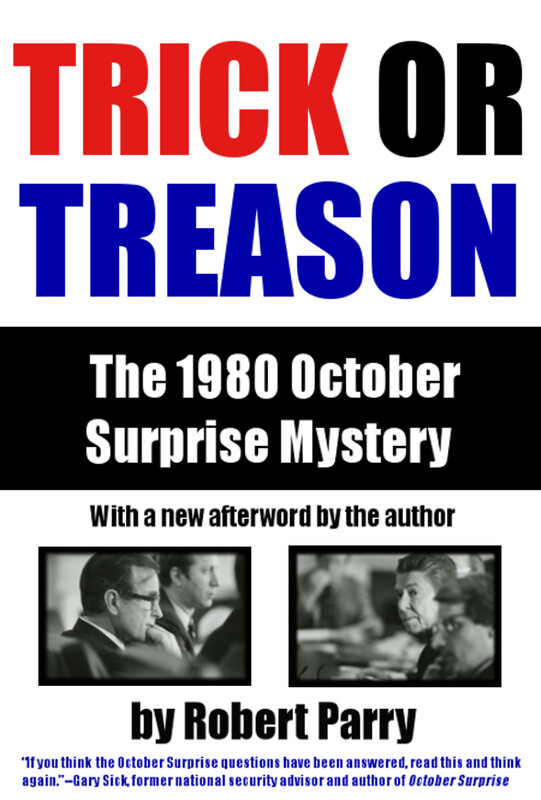 This has been recognized by many authors and journalists including Seymour Hersh (We’ve been taken over by a cult…eight or nine neocons.” and Carl Bernstein who courageously confirmed their tribal affiliation. General Wesley Clark revealed how the “seven wars in five years” became Pentagon doctrine and Tres. Sec. Paul O’Neil revealed that the neocon-owned W adminstration was planning to invade Iraq from the very first days of that infernal administration; W demanding of Cheney and Rummy “Find me a way to do this.” It is not in any way paranoia to conclude that Israel is using the USA like a “whore” in Jim Trafficant’s words, to destroy all of Israel’s regional competitors at the expense of our lives, honor, reputation and money. The Israel Lobby is like a disease in American politics that has crippled anything that might serve as an immune system. A real war on terror should start with an investigation of 9/11 and with the telling statements of one of the “mideastern men” arrested on 9/11: “Sivan Kurzberg, told the officers, “We are Israeli. We are not your problem. Your problems are our problems. The Palestinians are the problem.” If ever there was a clue about what caused 9/11, THAT statement and the context which surrounded it, was it. Fred Mrozek is undoubtedly relying on Mearsheimer and Walt for his confused remarks about the Israel Lobby pushing for war with Iraq. The author doth cherry pick too much. The confirmation process that produced the current crop of Supreme Court activists is not noted. The peculiar morality, the blinding light of mythical precedence has turned the Constitution into a rag to rub out the equality, justice, and the rights of all from the class conscious holy writ of the first Continental Congress. This constant diatribe against Israel is the monotony of the paranoid. Scalia, Thomas, and rest of the conservative bloc simply have no sense of humor. They prefer a hierarchal disaster to a democratic failure while the answers to our problems are simple if the are not accorded with the stigma of religious belief. Morton: Would that “[t]his constant diatribe against Israel..[were] the monotony of the paranoid”. Fortunately or not, facts don’t lie and here there are lots of them. It’s too bad our leaders are so blinded and crippled that they can’t break free of the Lobby and its narrative, or understand that the country shouldn’t keep paying for the emperor’s new clothes. I revile Scalia and everything he stands for with a passion. However, what cannot be honestly said, is that he lacks a sense of humor. He is actually quite a funny and quick witted guy. One only wishes he had brought his clown act to the circus instead of the SCOTUS. Borat, using the words “always” and “only” usually reveals some kind of flawed logic. The United States has always supported the only feudal monarchy in the Middle East as well. And, the other democracy was overthrown by a U.S. sponsored coup in 1953, so Israel’s status is a dubious honor. More recently, the National Endowment for Democracy has been implicated in the destabilization of the Morsi government. Your evaluation of Israel’s status is a lot like Igor saying, “Frankenstein is my best friend”. You get the friends you deserve. Borat, yes, Iran was briefly a democracy. Its government was headed by a man named Mossadegh.